Many Michigan Tech alumni and friends support Michigan Tech with gifts of stock. This generosity helps Michigan Tech students create the future by providing them with the resources needed for hands-on learning and research opportunities. In the event you wish to make a stock gift, please be aware that our transfer instructions have changed. If you need more information, please call Lorraine Young or Gisele Colarossi at 906-487-3305 or toll-free at 877-386-3688. You may also send your questions to mtstock@mtu.edu. Don’t forget to check our website: mtulegacy.org for many valuable gift planning tips and tools such as our gift planning and estate planning guides. As the new year begins, you may want to begin planning and preparing to file your income tax return. While the return is not due until April 15, 2019, you will start receiving tax information forms in January. One recommended practice is to create a filing system so you have all the necessary information to complete your tax return. The following categories, tax documents and personal information should be considered when creating your filing system. Family Information — Your Social Security number or tax ID number. The Social Security numbers for your spouse or dependent children. Dates of birth for family members. Income for adult dependents. Childcare records and payments. Employment Information — Forms W-2 from all employers. Forms 1099-MISC or Schedule K-1 reflecting self-employment income. Business expenditures and income. 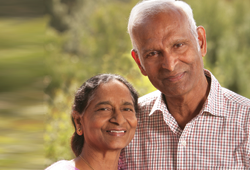 Retirement Amounts — Forms 1099-R for payments from IRAs, annuities and other retirement plans. Forms 1099-SSA for Social Security payments. Sales or Interest — Interest on Forms 1099-INT, 1099-OID or 1099-DIV. HSA amounts on Forms 1099-SA. Property sales on Forms 1099-B or 1099-S.
Other Income — Rental income, expenses and cost of purchase. Hobby income, prizes income and trust income. Any other Forms 1099-MISC. State tax refund. Taxes — State and local income. Vehicle and property tax. Medical — All payments for prescriptions, clinics, hospitals and doctors. Form 1095A, Form 1095B or Form 1095C for your medical insurance plan. Education — Form 1098-T or Form 1098-E. Qualified educational tuition, fees and expenses. Charitable — Cash and noncash gift receipts. If you itemize deductions, you must have documentation to substantiate your charitable gift amounts. Charitable giving documents will vary depending upon the type and value of the gift. Gifts of cash are substantiated by a receipt from the organization or reliable written records. Cash gifts of any amount are deductible only if you have reliable written records, such as a bank record or a receipt from the charity with the amount and date of the gift. There are specific requirements for gifts valued at $250 or more. The charity must send you a receipt stating the amount of your gift. Normally, the receipt indicates that the charity provided no goods or services to the donor. You must receive the receipt prior to filing your tax return. If you make charitable gifts through payroll deductions, you must have a written record. Generally, you must retain a pay stub or Form W-2 that describes the amount withheld by the employer for the charitable gift and a pledge card or other document prepared by the charitable donee organizations. The pledge card or other document must also state that the charitable organization does not provide goods or services in whole or partial consideration for the contribution. A volunteer may deduct expenses that are directly related to his or her volunteer work for a charitable organization. For this purpose, the volunteer must maintain records of the expenditures. In addition, the charity should send the volunteer a statement that describes the volunteer’s activities and indicates whether any goods or services were transferred by the charity to the volunteer in exchange for his or her efforts. Joe Warren remembers Professor Bredekamp’s class as if it were yesterday, but that’s to be expected, he says. “Anybody who had Bredekamp remembers.” The chemical engineering professor was lord of the Unit Operations Lab, where seniors routinely worked from dawn till midnight. Joe began to apply those lessons immediately upon graduation, when he went to work at 3M. He rose through the ranks, eventually serving as vice president responsible for the Imaging Systems Group. Joe says they donate to Michigan Tech in part because the University did so much for him. “And I recognize that the state doesn’t fund universities at near the level as when I went to school. He proudly adds that one of their grandsons currently attends Michigan Tech. Don Lehman came to Michigan Tech in 1959 to get an education and play football. He did both, earning MVP honors in 1962 and graduating in 1963 with a bachelor’s degree in civil engineering. After graduating, Don worked for thirty-two years at General Motors, retiring as assistant superintendent of maintenance and plant engineering at the Buick Motor Division in Flint. 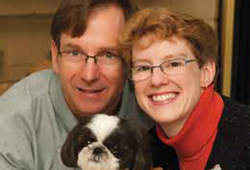 In 2000, Don and his wife, Joyce, decided to transfer a rental property in exchange for a charitable gift annuity, which provided lifetime retirement income and a tax deduction to them and will later help Michigan Tech. Pleased with the results, they used another rental property and then appreciated securities to establish additional gift annuities. Don and Joyce also plan to fund annuities with deferred payments, which will supplement their two sons’ retirement incomes in the future. 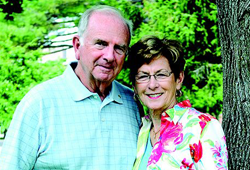 While their annual giving largely supports Tech’s football program, most of the couple’s annuities will fund the Don and Joyce Lehman Endowed Scholarship for undergraduates who major in civil engineering and play football. Edwin “Ned” Johnson “wants to stay close to what’s worthwhile,” and that includes his family, friends, and his alma mater. Along with his many years of annual giving, he supports Michigan Tech through deferred charitable gift annuities. He also stays connected to Tech through the University’s estate planning seminars and alumni events. Talking to a group of Tech students some years ago, he recalled telling them that he “went to Tech BC: before computers, before calculators, before coeds.” Johnson appreciates the new Michigan Tech, too, and likes the direction the University is taking. 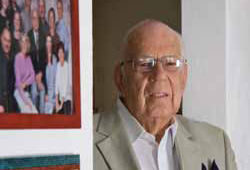 Hence Ned’s steadfast support over the years, including contributions to an endowed scholarship fund in his and his late wife Lois’s name, Huskies athletics, and an American Institute of Mining Education scholarship. Editor’s Note: Since this article was written, Bob Nara passed away in 2015 but his legacy continues at Michigan Tech. 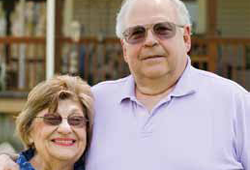 If Bob and Ruth Nara were to craft a mission statement, it would read, “Leave the world a better place.” Residents of Bootjack, in Lake Linden, Michigan, the Naras practice what they call catalyst philanthropy, or gifts that inspire other gifts. One of their well-known projects is the Nara Nature Park in Houghton, where visitors enjoy boardwalks around the Pilgrim River, trails up through the woods, and bridges over creeks. Dave McBride recognized instantly that Michigan Tech would be a good fit. “When I went to Tech, I knew right off the bat it was the place for me,” he remembers. McBride aimed to own his own construction company and majored in business administration. That also turned out to be a good fit. After graduating in 1982, he started up McBride Construction in Petoskey and has been in business ever since. Some donations were appreciated securities. “It’s an excellent way to give,” he says.